While Australia has undoubtedly struggled in the pair`s absence, Vaughan said the team`s problems ran much deeper and the Ashes series in England would highlight their deficiencies unless big changes were made. "I cannot see Australia beating England this summer unless they assess themselves brutally," Vaughan wrote in his column for London`s Telegraph newspaper. "Batting techniques have to be better and they need to be more consistent with the ball. Every facet of their test team has to improve. They are kidding themselves if they think everything will be rosy when Smith and Warner come back," he further added. Australia has passed 300 runs just three times in 14 innings since Warner and Smith were banned last March, with the highest score of 362 for eight, and Vaughan said the team were not producing enough runs to make them competitive. "On flat, good batting pitches, Australia really struggled as it is on those tracks that weaknesses are highlighted," Vaughan said of their performances during the India series. "A batting unit`s defences are tested because it is necessary to bat for long periods. Australia is unable to play long innings. They look like a team who can score 250-300, and that is good enough on sporting pitches, but not when it is flat." 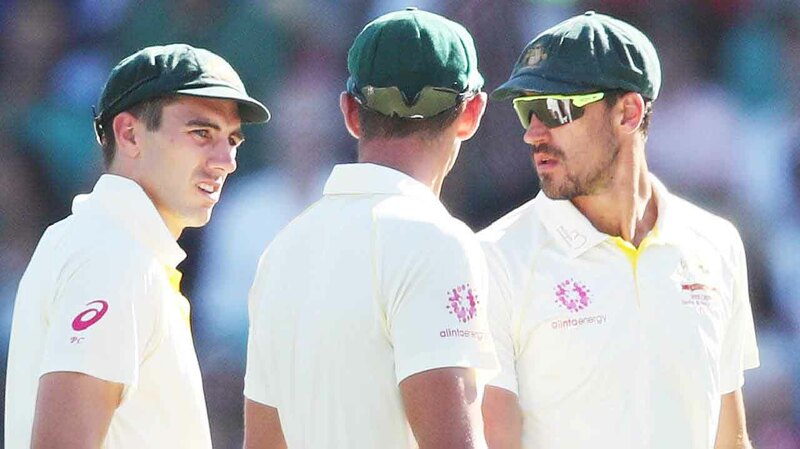 Australia`s trio of pace bowlers Mitchell Starc, Josh Hazlewood and Pat Cummins was also criticised by Vaughan, who said they did not offer enough variety or consistency to exploit pitch conditions in England. The Australians had just one lbw dismissal in the entire India series, he said, indicating there were not enough deliveries directed at the stumps. "The bowling is not as good as they think," wrote Vaughan. "To beat England in England, they have to bowl more intelligently. It is not often that quick bowlers come to England and blast batsmen out. It may happen in one test but not over the course of a five-match series. You need a consistent line and length, and skilful manipulation of the conditions. At the moment, I do not see Australia having those attributes."